Imagine the New Year’s resolutions you could make if you woke up a millionaire on New Year’s Day. Three people will experience just that, when the Illinois Lottery awards three $1,000,000 top prizes in its first-ever New Year’s Millionaire Raffle. Tickets for the raffle go on sale this Friday, November 21 at 8,200 retail locations throughout the state, and will remain on sale through January 1st at 2AM CST–or until all 400,000 available tickets are sold out, whichever occurs first. This year’s New Year’s Millionaire Raffle drawing will be held on or around January 1, 2015. 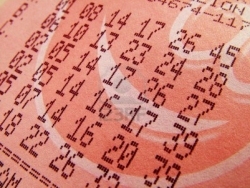 Winning raffle numbers will be available on the Illinois Lottery’s website at www.illinoislottery.com.